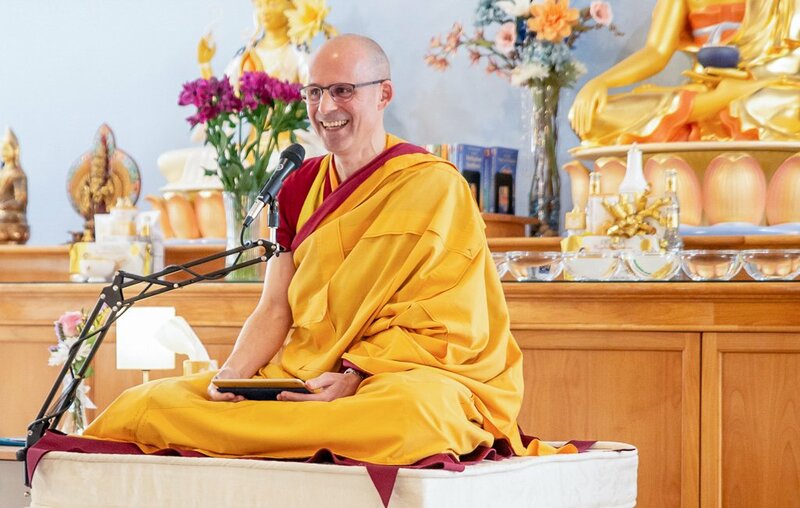 In just two weeks, Gen-la Jampa, Deputy Spiritual Director of NKt-IKBU and Resident Teacher at IKRC Grand Canyon, will grant empowerment and give teachings at the US Festival at the New York Temple. 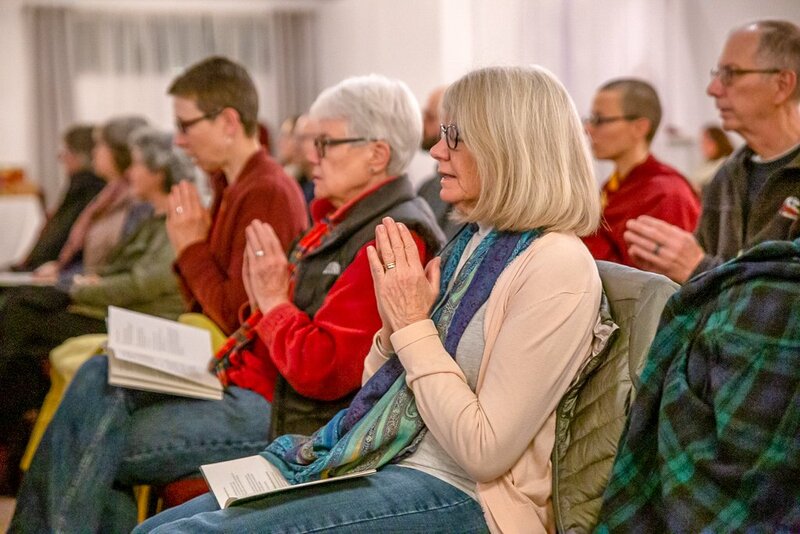 How fortunate we are that as a prelude to this auspicious event last weekend IKRC Grand Canyon had the great good fortune to offer a retreat on the Uncommon Yoga of Inconceivability with Gen-la. 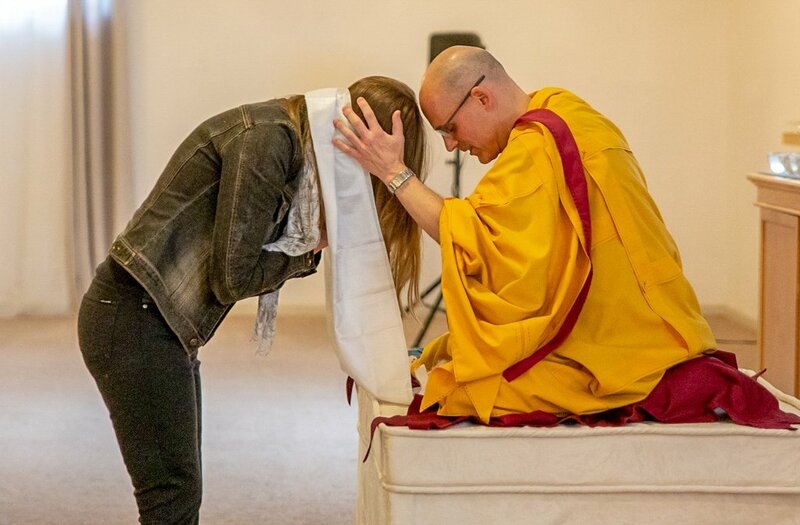 People came from centers in California, around the Southwest, and from outside the USA to receive the special instructions of this superior transference of consciousness practice from Gen-la. 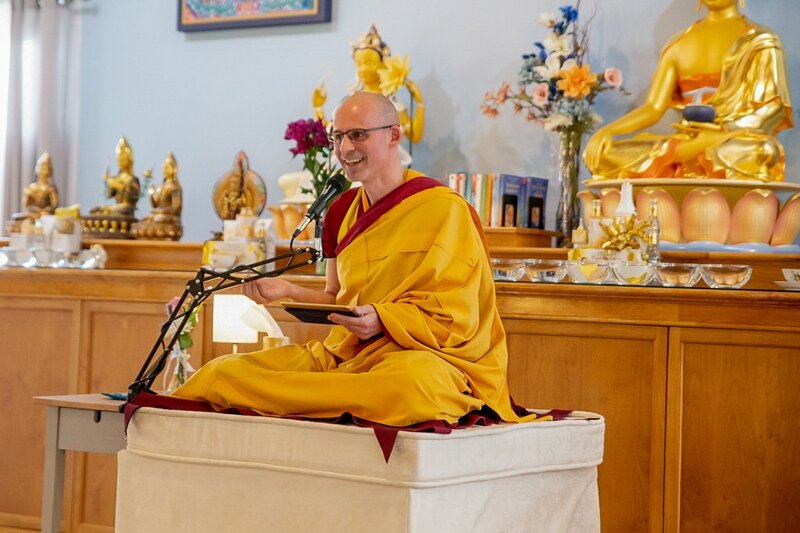 This precious practice was originally transmitted by Venerable Geshe-la to thousands of fortunate modern Kadampa disciples at the 2013 Fall Festival in Portugal. Outside, a beautiful warm day greeted attendees and the rising Temple appeared against the backdrop of blue skies and a snow-capped mountain. Inside, there was a joy and peacefulness in the room as Gen-la gently guided profound meditations. 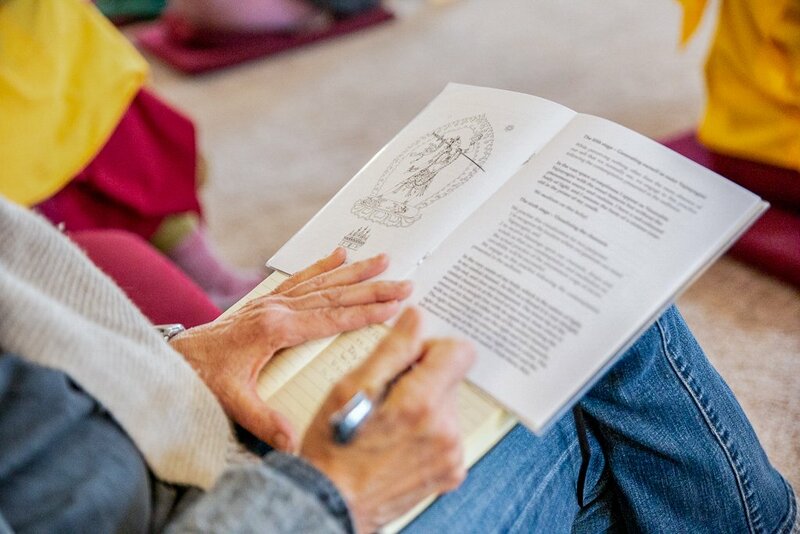 At the conclusion of this meaningful weekend many people felt they had greatly improved their understanding and experience of the sadhana and now had the confidence to practice it themselves. 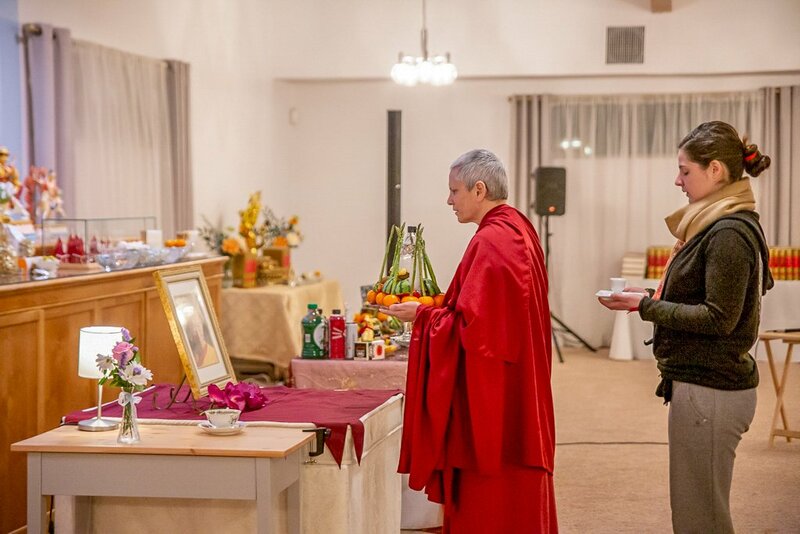 Thank you Venerable Geshe-la for this extraordinary practice! Through this practice of the yoga of inconceivability we can reach the Pure Land of Keajra with this human body. 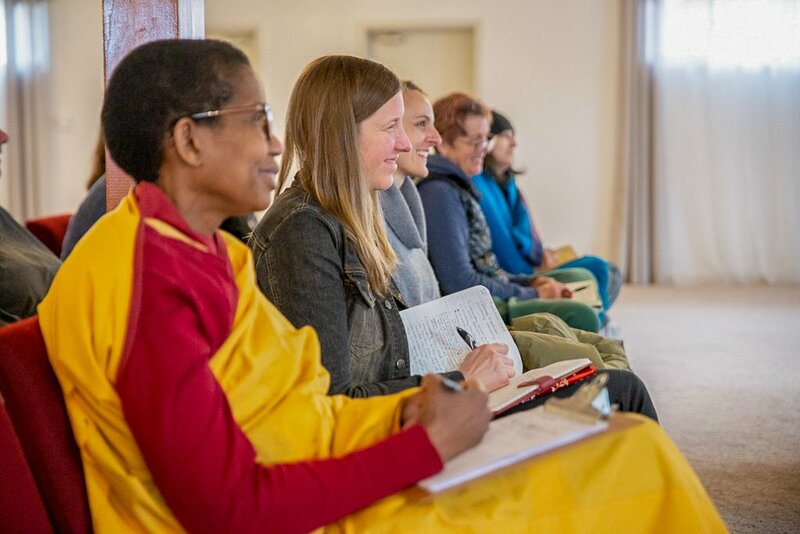 When practitioners engage in this special transference of consciousness, their consciousness does not leave the body but goes to the Pure Land of Keajra together with this body. This is a special and uncommon quality of this Pure Land. The photos also show a retreater volunteering to help with rolling the mantras to fill the new statues for the Temple. 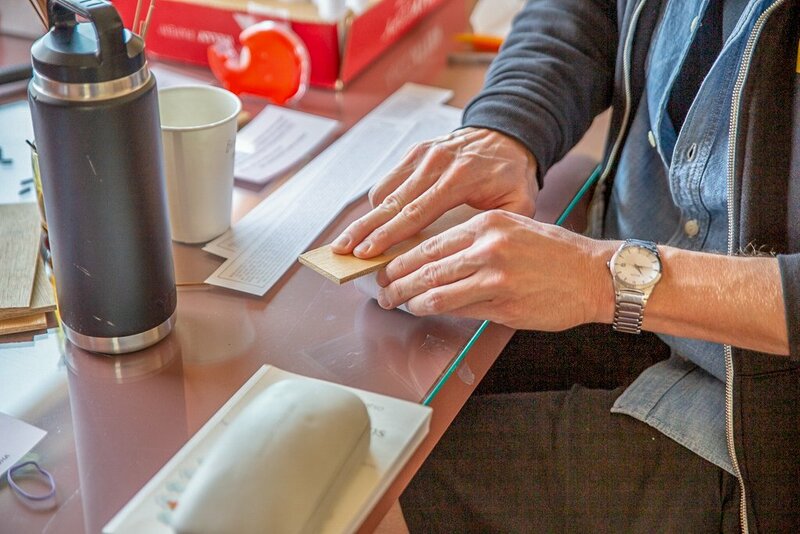 There are always opportunities to offer voluntary help. 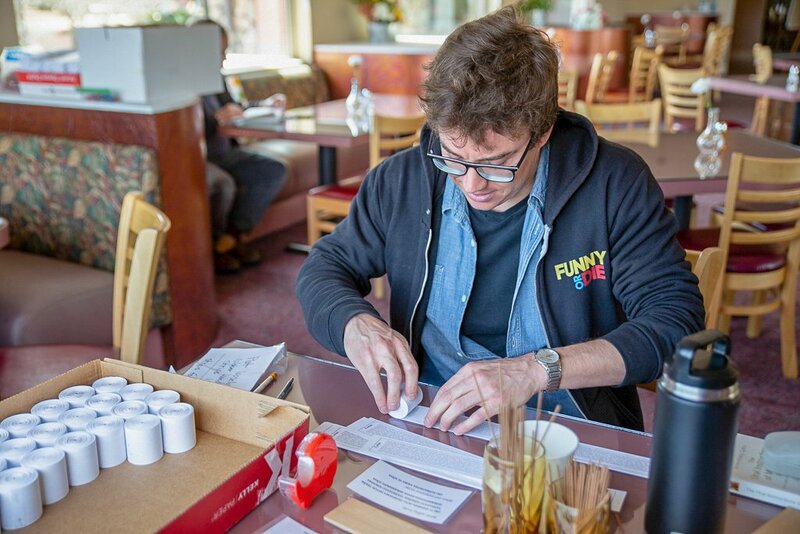 The working visit program is a great way to experience life at IKRC Grand Canyon and to help with this auspicious project. If you are interested simply fill out the application form online.